Promote proper hand washing skills. 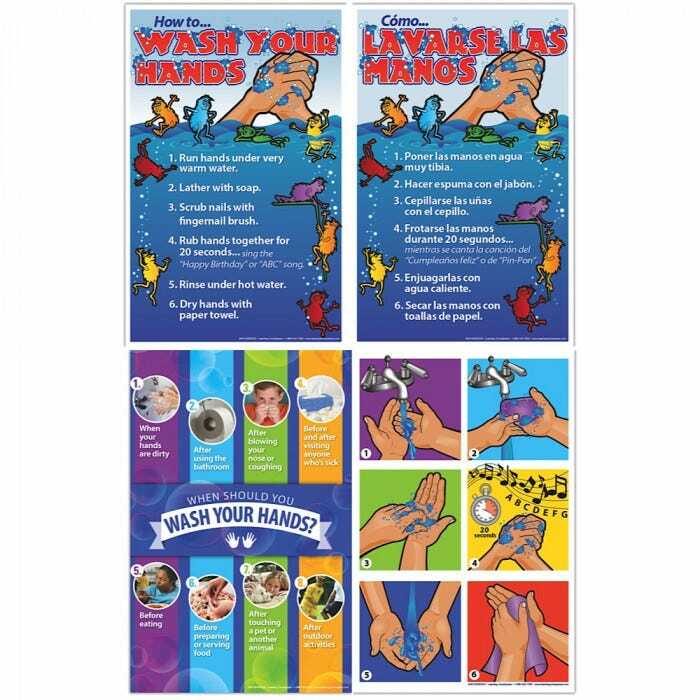 posters are the perfect size for displaying near hand washing sinks or in bathrooms as a simple reminder to wash hands. 11" x 17", laminated. Set includes all 4 posters. Hand Washing Graphics Poster – features illustrated, step-by-step visuals of how to properly wash your hands without text.